My first volume of poetry is titled “New Beginnings“, and it features 100 poems from different stages in my life. Unlike many modern poems, the poems in “New Beginnings” have a wonderful rhythm and also rhyme. Steve R. Drennon has a true poet’s heart and he invites you into his private world where he expresses his deepest emotions. Once you have been truly loved it is an addiction your heart craves and Steve R. Drennon craves being in love. He at first writes beautifully about being in love and how magical the world seems when you have found the perfect person to share your life with. But inevitably love tends to fade and if it doesn’t transform into true love life can be pretty lonely. In some of these poems the poet talks about the “cruelty of time.” This will make sense to anyone who has loved and lost because feelings have changed. While some of the poems are serious, especially the ones about war, there are also some funny moments when I laughed out loud. I loved the poem about a mother giving the poet a friend’s secret diary and how he discovers he was so loved and never knew it. Apparently the friend dies without ever telling him she loves him. It is so sad but also beautiful. In one poem there are some especially appealing water images. The feeling of loss and longing is likened to it raining endlessly. I also liked his poems about slow dancing and the tearful reunion. 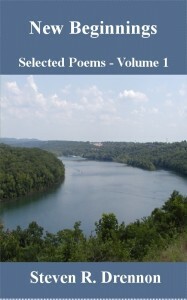 Throughout the poems Steve R. Drennon expresses a strong desire for connection and sometimes his love is returned. Yet in some cases he is still left longing for love, still in hope that an old love will become new again. If you enjoy seeing all the faces of love this book will appeal to you. There is loneliness and unfulfilled desire but there is also beautiful moments of love and compassion. What a beautiful sensitive heart! I’m looking forward to reading more poems by this author. 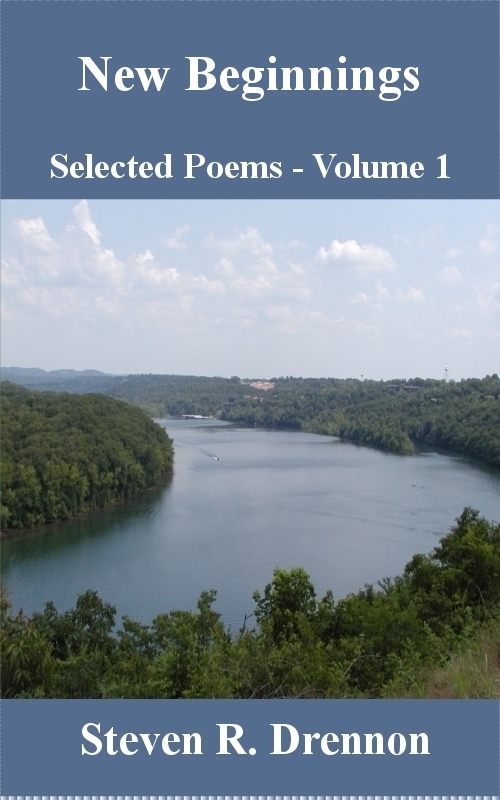 Below is a list of the poems included in this book. In the near future I hope to be able to include links to selected poems in this book to allow visitors to sample some of them and get an idea of what is in the book.